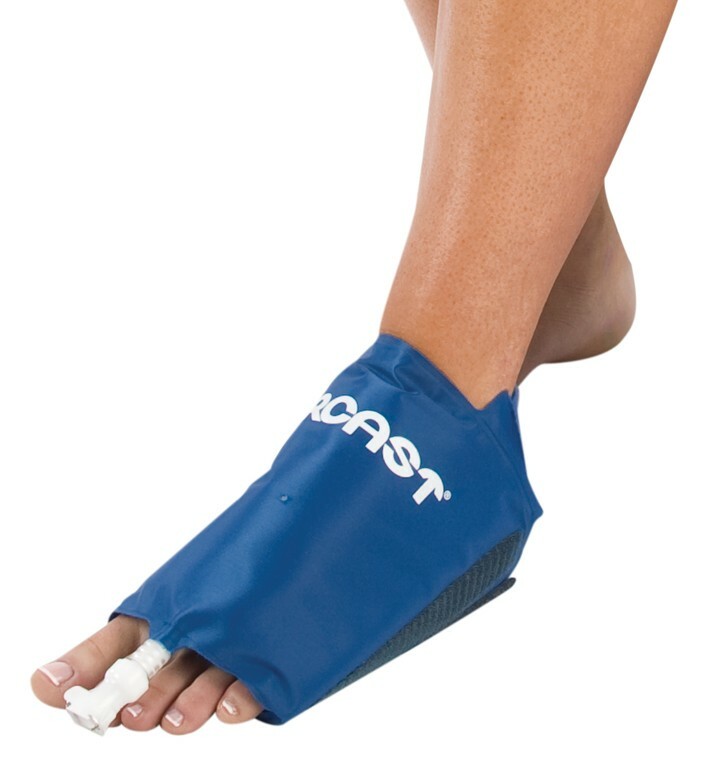 Combining the therapeutic benefits of controlled compression and cold, the Foot Cryo/Cuff minimizes hemarthrosis, swelling, and pain. The anatomically designed cuff provides complete foot coverage for optimum treatment. When the AutoChill system is used with the Foot Cryo/Cuff it should only be used in a medical facility or clinical environment with direct healthcare provider supervision. Is the foot cryo/cuff filled with ice water on both the top and bottom of the foot? Yes, the entire Cuff should fill with water. Depending on the Size you ordered it may not be large enough to wrap around your foot. Does this cuff provide cold therapy to the heel area? It is not clear from the picture. The foot cuff doesn't provide cold therapy to the heel, the ankle cuff does. Is this unit the one that provides the Pump for Pulsating Compression ?